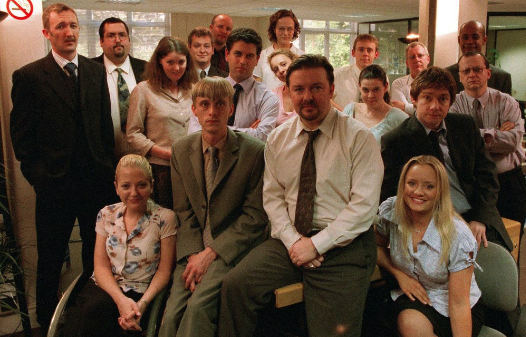 The Office helped reshape the landscape of the sit-com at the beginning of this century. Outrageous situations, catchphrases and canned laughter was out. Normal situations, regular people and subtlety was in. The Office waa shot in a documentary style, with an obvious debt to This Is Spinal Tap. In turn, The Office would be the influence behind a spate of U.S comedies set in a similar style, most notably the aforementioned U.S office, Parks and Recreation and the smash hit Modern Family. 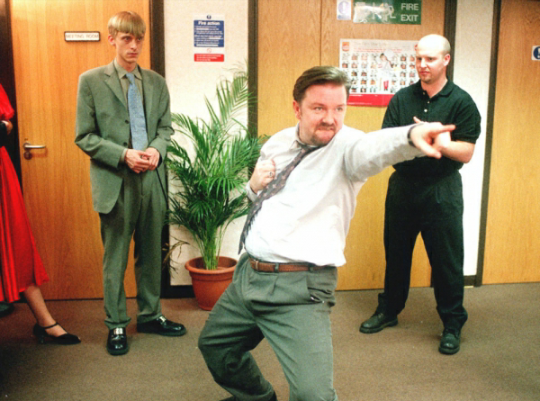 The shows co-creator Ricky Gervais, plays the charmless regional manager David Brent, who’s hell-bent on being popular and respected. The only person he manages to get this from though is brown-nosing Assistant (to the) Regional Manager, Gareth. McKenzie Crook plays the sallow faced Territorial Army enthusiast Gareth perfectly. The show is set in a struggling Slough paper merchants, with the threat of redundancies hanging ominously over it. Martin Freeman plays pensive paper salesman Tim, whose interest in unattainable receptionist Dawn, played by Lucy Davis runs as a theme of will they/won’t they throughout the series. Brent though, is the star of the show. A character who can make you howl with laughter, squirm uncomfortably with your hands covering your eyes and maybe in the end, feel a bit sorry for him. The show is multi-layered, becoming more rewarding with each viewing. It is incredibly quotable, which can lead to friends and relatives becoming frustrated when you keep replying to questions with Brentisms. But what really stands out with the Office, is the fact that it burnt quickly but strongly. Its entire output amasses to fourteen episodes. What is quite obvious, is that creators Gervais and Merchant were more concerned with quality than quantity, which results in as near to perfect TV series you are ever likely to see. It is funny, without being daft; as well as managing to be sentimental, without being overwrought or cloying. This is why The Office is one of my favourite golden oldies. 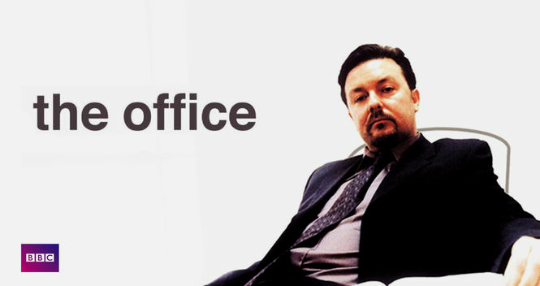 The Office is available to watch on iPlayer (and a film is rumoured to be in production).